Travel 4000 is a family run business based in Camborne which provides a diverse and specialist range transport services to both the public sectors, and private individuals and companies. 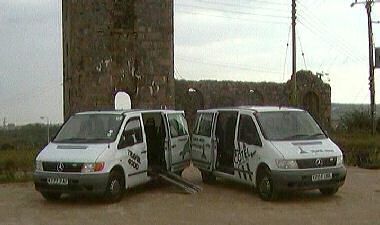 The business, since its formation in 1998, has expanded from 1 vehicle to the current fleet of 10. Travel 4000 is able offer a wide range of transport services throughout Cornwall. Travel 4000 is a company which is dedicated to providing a highly professional and individual standard of service to a wide variety of customers. Considering the nature of Cornwall, and the numerous challenges the transport infrastructure poses for individuals or companies travelling within it, to and from the county, Travel 4000 can solve these for you economically, effectively and efficiently by catering to the individual and specific needs required.